This blog post covers the latest updates for Power BI Developers community. Don’t forget to check out the March blog post, if you haven’t done so already. Here is the list of April updates for embedded analytics. When using Power BI Embedded, you enjoy all the advantages of a world-class analytical engine inside your application. One of these advantages is that all the new features released for Reports/ Dashboards can be used for embedding shortly after, or even instantly. Report Tooltips– customized tooltips on reports gives the ability to make tooltips more appealing, rich and informative. Learn how to create and use the new tooltips . Q&A Explorer– The natural-language querying feature is now available for your end users who consumes and interacts with reports. This feature will work in your applications by embedding reports which added this feature. In Power BI Embedded, you can also embed Q&A in your application separately from reports or dashboards. In February blog post we announced the integration of Azure Monitor Metrics to be used on Power BI Embedded resources. Memory– The ‘Memory’ shows the usage of memory in your resource. The units are in GB so you can track exactly how much of your RAM is being used every minute. Memory thrashing– This metric shows the percentage (%) of memory being thrashed from the RAM of your resource, relative to the total size of RAM in the resource. When your resource is not in full capacity, it will be able to contain all the datasets being used, and so this metric will be on 0%. However, when you are trying to use datasets that, combined, are bigger than what your resource can contain (for example, when multiple users are trying to open reports, or refreshing multiple datasets at the same time), the memory will start paginating datasets, performance will degrade, and the metric will jump up. Note that this metric is relevant only for Import mode datasets, since they are hosting data in-memory. Data sets using DirectQuery or Live connection to Analysis Service is not monitored by this metric. QPU High Utilization- This metric tracks the load on the Query processing units on your resource. Every minute, the metric checks if your resource’s QPU usage has exceeded 80% utilization of the resource. If so, the metric will return ‘1’. If not, it will return ‘0’. Upon time, you can track how many times the utilization has crossed the 80% limit. Each occurrence of utilization over 80% should be considered a potential case of performance degradation. Too many such cases are a good indicator of significant performance problems for users. In this metric, you can track either the average value, which will return a number between 0 and 1, or the Count/Sum in a given time. For example, if you count the values every 5 minutes, a value of ‘4’ will indicate that you have crossed the limit 4 out of 5 times, and might indicate you need a higher SKU to handle load, before it will be reflected in performance for your users. Power BI Embedded in Azure allows you to use Monitoring Metrics to track your resource performance and load. Now we have integrated with another great tool, making your life even easier- Azure Alerts. 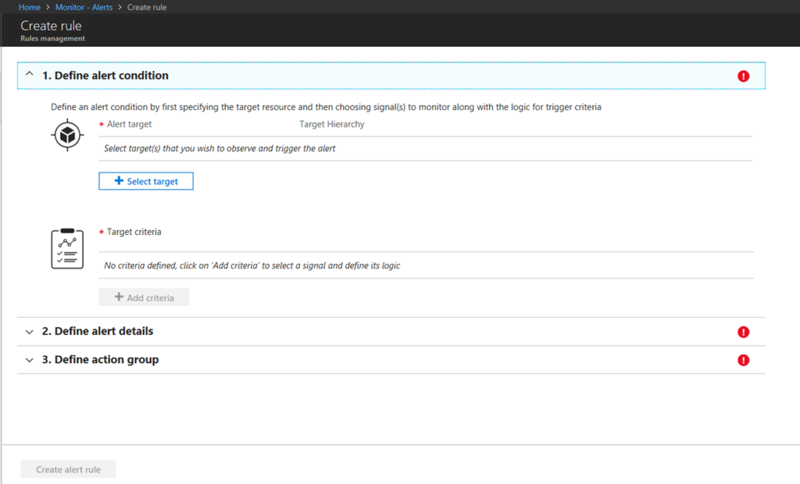 Alerts offer a method of monitoring in Azure that allows you to configure conditions over data and become notified when the conditions match the latest monitoring data. 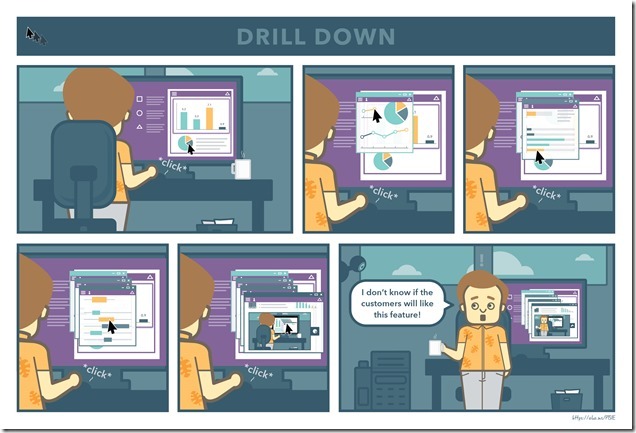 When you have an active Power BI Embedded resource, you can use the Metrics that monitors your resource and define rules over those metrics. 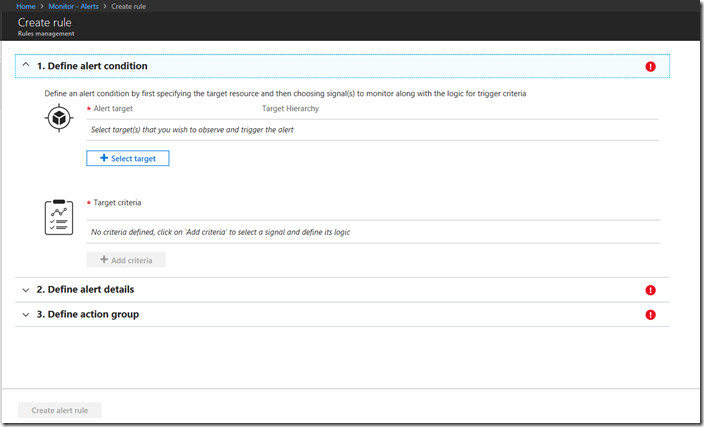 Azure Alerts allows you to build multiple rules over time and define the action you wish to take when an Alert is being triggered. It can be a mail/ SMS notification to a group of people or run an automatic script to handle the problem. For example, you can create a rule over ‘Query Duration’ that checks if “the average duration of a query is above 10 seconds, over a period of 10 minutes”. If that threshold is crossed, you can configure an automatic script that scales the resource up, using REST API or PowerShell cmdlets. We've added a new way to learn custom visuals development, with a hand-on lab, available for everyone (with a Microsoft account). The lab includes detailed instructions on how to set up the development environment, the basic concepts and building blocks of custom visuals, and a sample visual to develop, which will guide you through some of the main features of the custom visual code. Try it out yourself now, you don’t need anything but a browser! The lab provides a Virtual Machine to log into. Many thanks to Peter Myers, who built this lab and made it available online. Bookmarks API was already released with API 1.11. The Bookmarking feature lets you save specific states and snapshots of your report. Those states can be specific filters, slicers, cross highlighting or anything that makes your current view or snapshot. Once we have created those several bookmarks and stacked them up, we can then play through those snapshots in a specific order that we decide to tell a story or remember the status of your analysis for example. Read more about bookmarks in Power BI documentation. Read the full developer documentation to enable bookmarks in custom visuals here. In the April release of Power BI Desktop, we've made the organizational visuals generally available, with support for updates of visuals, additional scenarios like external sharing and Publish to Web, and more. Read more in the blog post. 1. Microsoft Build– Presentations, hands-on labs, Theatre sessions and an Expo booth for Power BI Embedded and Custom Visuals. Learn more about Power BI's presence at Microsoft Build in this blog post. 2. 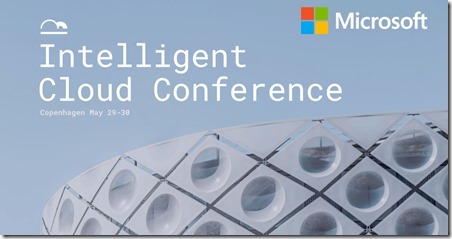 Intelligent Cloud Conference– A dedicated session on Power BI Embedded in Azure. That’s all for this post. We hope you found it useful. Please continue sending us your feedback, it’s very important for us. Have an amazing feature in mind? please share it and vote in Power BI Embedded Ideas forum, or Custom Visuals Ideas forum.